The 10 mile-long boulevard was developed in the late 19th century as part of the City Beautiful movement in Kansas City. “It’s for the aspirations of future generations, at the same time we are working for the people who have been fighting for this for many years,” said Scott Myers, a minister with Westport Presbyterian Church. The debate over what to name after King has stretched out for months. In April, a coalition of black, religious and political leaders had pushed a proposal to rename Paseo Boulevard after Martin Luther King Jr. The group started a petition drive to put the proposed name change on the ballot after being turned down by the Kansas City Parks Board. In May, Mayor Sly James appointed a committee to make a recommendation on the issue. The advisory group’s top choice was to rename the new airport terminal for the civil rights leader. The second choice was 63rd street, followed closely by the Paseo. Another attempt to change the name of the Paseo was included as part of a wide-ranging economic development proposal, but last week, councilmembers decided to remove it from the larger proposal and consider the name change on its own. Kansas City Call reporter Eric Wesson, whom Mayor James appointed to the MLK advisory committee, noted he and the committee had listened to opinions from around the city before making their recommendations. “The will of the people was the airport,” said Wesson, emphasizing that Paseo was the committee’s third choice. Committee member and city council member Katheryn Shields said she supported choosing the Paseo but understood some of the reservations. “No matter what we pick, there was going to be a segment of the population that says, ‘Oh no, we can’t have that, maybe there’s something else more appropriate,’” Shields said. Developer Don Maxwell told the council committee that the Paseo is a special place for residents. "Paseo represents a major artery through the heart of the black community." The full council is expected to vote on the name change next week. Seg. 1: Memorializing Dr. King In Kansas City. Seg. 2: Historian Jon Meacham On American Progress. 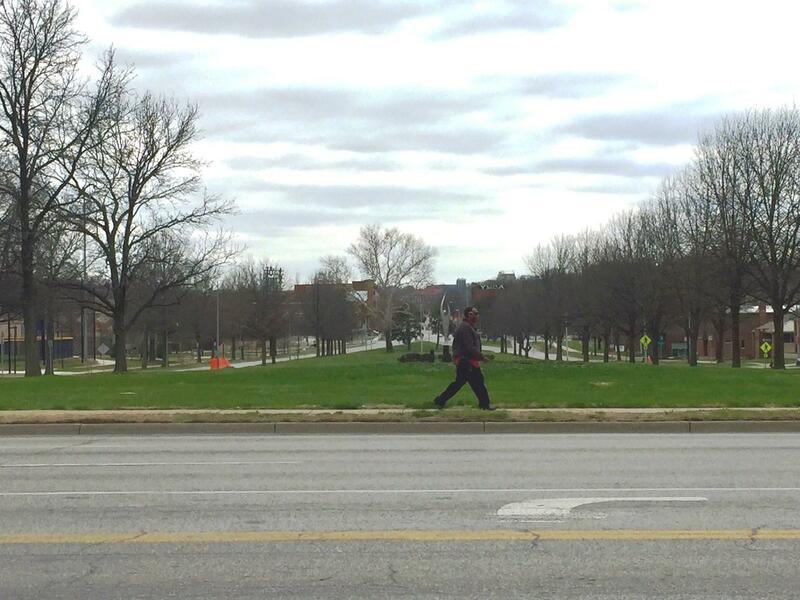 Segment 1: Finding the best way to memorialize Dr. Martin Luther King Jr. in Kansas City. Many in Kansas City agree there should be something here to memorialize the legacy of Dr. Martin Luther King Jr. The question is, what? Following suggestions The Paseo be renamed (or 39th Street or 63rd) Mayor Sly James appointed an advisory group to recommend how best to proceed. Today, we spoke with the co-chair of that panel, which recommended attaching Dr. King's name to a yet-to-be-built terminal at the airport.